Break crystals, drive like a maniac and flap until your fingers go numb. This week's top 10 free iPhone games list has plenty to offer, including a couple of entries that will take you by surprise. Find out what you should download, without hurting your wallet. The developer says: Join over 10 million people who love and play QuizUp! Challenge your friends and connect with others around the globe in the largest real-time trivia game ever. Go head to head in over 150,000 questions and 365 topics ranging from your favorite TV shows and books to sports and music. With new topics being added all the time, QuizUp is sure to keep you entertained and test your knowledge for hours on end! The developer says: From the makers of the hit game Candy Crush Saga, comes Farm Heroes Saga! Switch and match the collectable cropsies in this fantastic adventure. â¨Join forces with the Farm Heroes to stop Rancid the Raccoon from spoiling the precious farm lands. Switch and match three or more adorable cropsies to drive Rancid away for good! A farmtastic adventure filled with mixed fruit madness! Scrummy! The developer says: SkyCar Racing is one of the most addictive and entertaining physics gameplay. 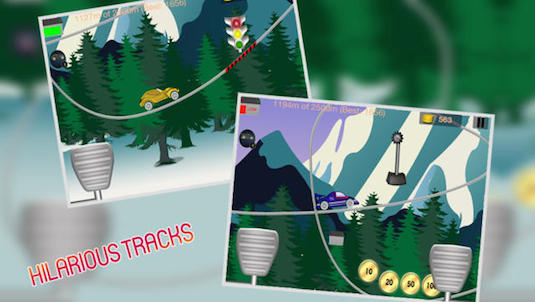 â¨Drive your car through amazing wire tracks and be safe to avoid hilarious obstacles. â¨While driving, be careful so that your car should not touch cutter, pusher or cross the â¨red signal. The developer says: Save Falling Flappy! Your mission is to save flappy from smashing on to the ground. 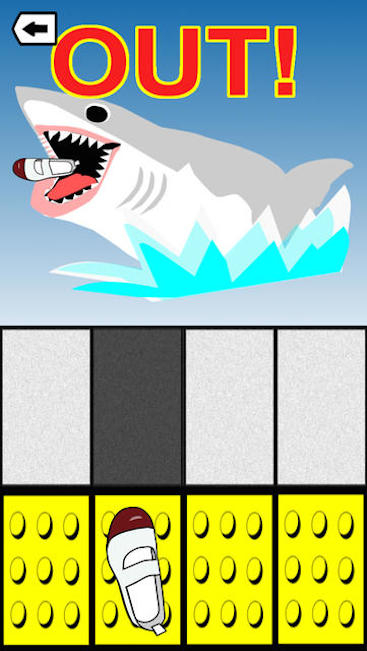 Let's try this simple addicting game now! The developer says: Escape the space blue squares and make the Red Bit survive as long as possible! The developer says: An addicting Japanese game that tests your reflexes against time and movement. Test your speed and accuracy with this simple and fun game! The developer says: Creepy creatures have nabbed the stars from the sky, and now these beasties are marching your way. Darklings' engrossing gameplay has you frantically clobbering monsters by drawing their corresponding symbols, while its stylish visuals wonderfully depict a world devoid of light. The developer says: Barrel through traffic packed streets, hurdle off parking garages, and crazy combo your way to crazy money in a wild frantic race to scare up the most fares. The developer says: A little bird wanted to fly, so she flapped again and again. Some pipes were really awful. They came from top & bottom and set apart a little space for passing. Brave bird, never gave up. Enjoyed herself and flapped again. The developer says: In this entrancing game of skill and spatial awareness, you lob spheres to clear a path through abstract environments, tapping into our innate fascination of watching virtual objects crumble apart. Part reflex challenge, part hypnotic journey across a strange, striking landscape, Smash Hit is a riveting experience.